This recipes is sooo great! I love it because I use the kitchen sink method with my veggies. 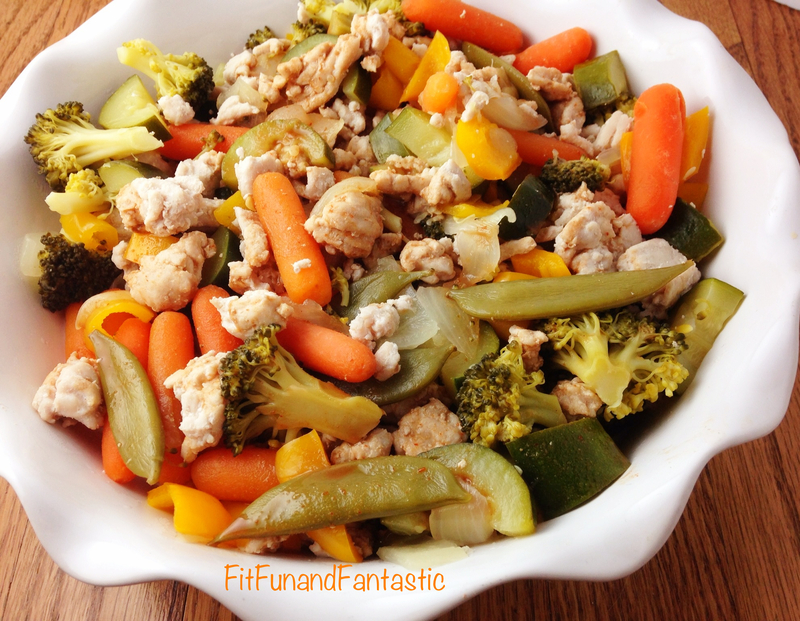 Any vegetable that is going to go bad soon gets thrown in this stir-fry. And lets not forget the peanut sauce… oh man is it good! It has a little kick to it, but is not too spicy! Optional: Add Unsweetened Almond Milk to make it a creamier sauce. Chop veggies, sprinkle with herbamare and saute in coconut oil until soft. While the veggies are cooking cook the turkey on a pan with coconut oil, also seasoned with herbamare. In a separate bowl mix together the Braggs liquid aminos, sriracha and peanut flour until fully combined. 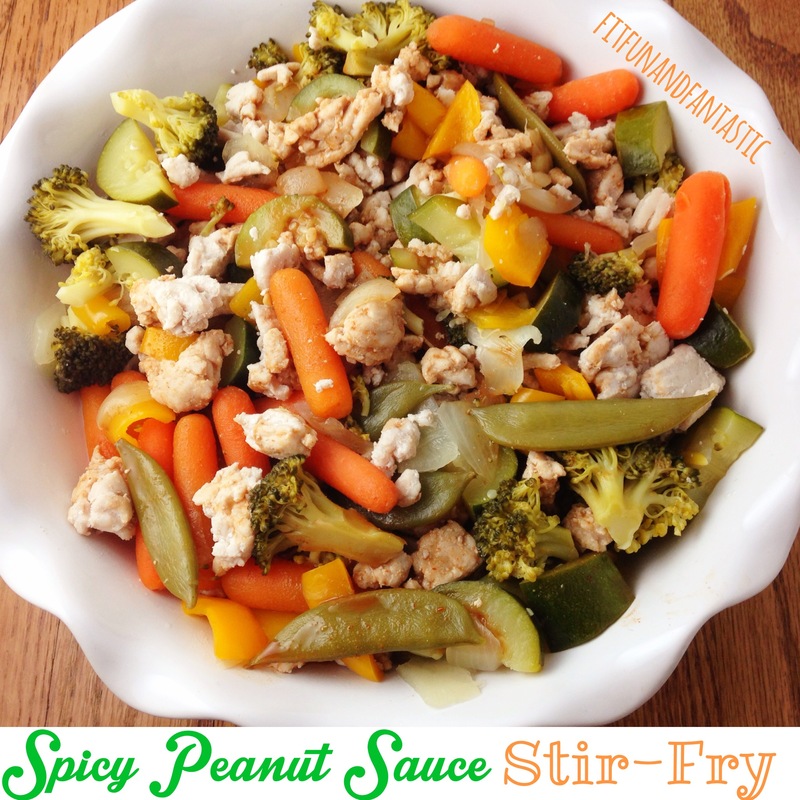 Mix the turkey and veggies together and top with the peanut sauce!